The Middle East, Brazil, and Africa started out with the highest inequality in the world, but at least they’ve come down a bit since 1990. 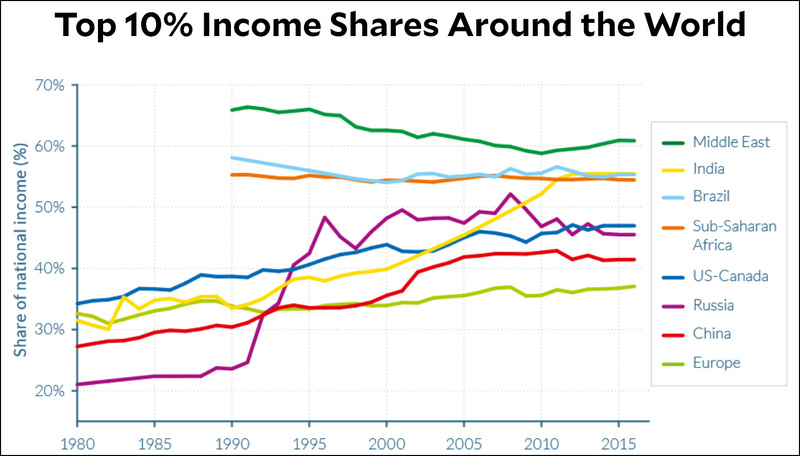 Russian income inequality skyrocketed in the 90s when Boris Yeltsin and his American advisors basically gave away the entire country to the oligarchs. India went crazy starting around 1990, while income inequality in China and the US has been steadily increasing the entire time, kicked off by Ronald Reagan in the US and Deng Xiaoping in China. 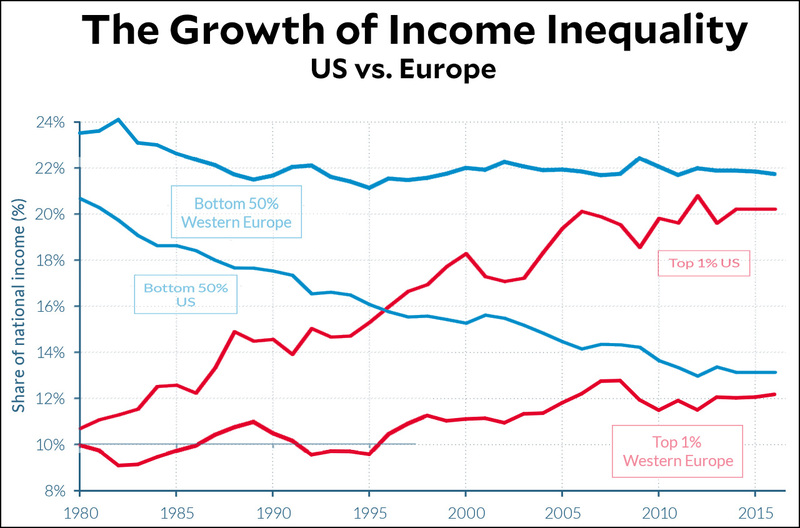 Meanwhile, only Europe has made a real effort to rein in the effects of globalization, financialization, and liberated capital. 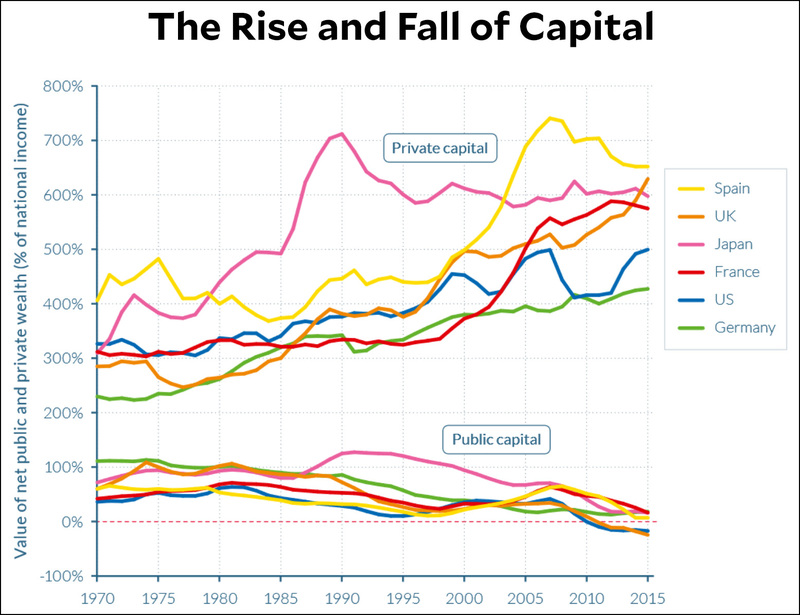 Public capital has shrunk nearly to zero nearly everywhere since 1970. In fact, it’s shrunk to less than zero in the US and Britain. So who has all the capital now? Private wealth holders, of course. You can download the full report here, or the executive summary here, in English, French, or Chinese.